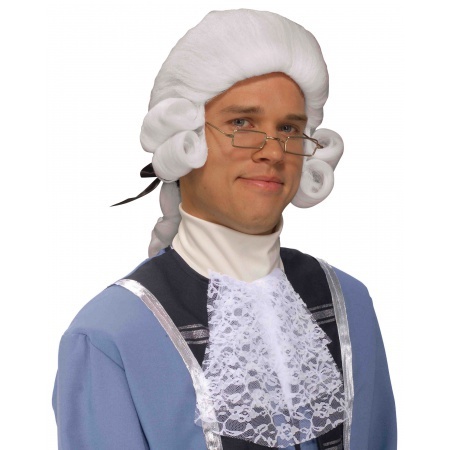 This adult founding father costume accessory includes a mens white colonial wig. 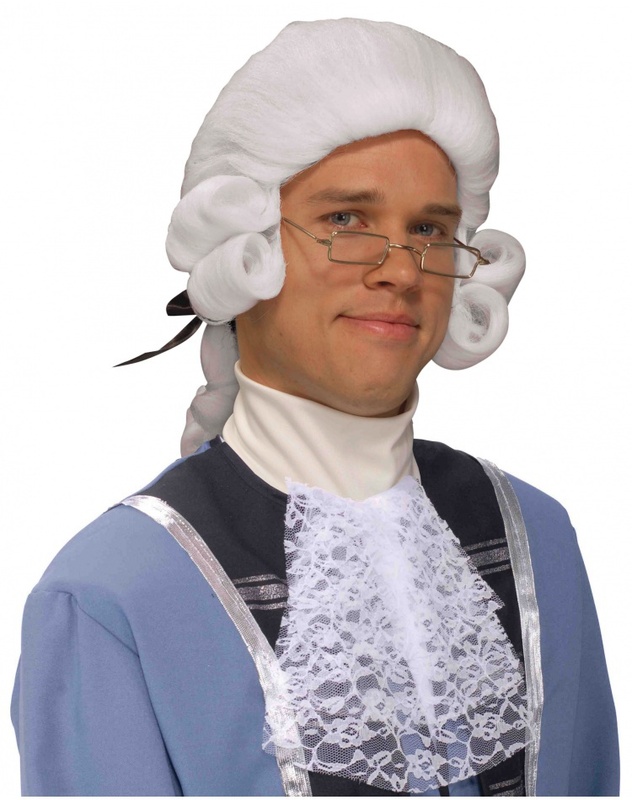 Our Colonial wig is great for a founding father costume. 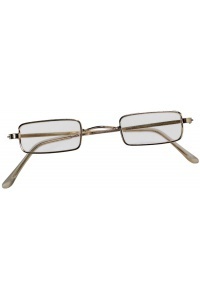 Wear this wig for Halloween or the 4th of July as part of a Thomas Jefferson costume. The 18th Century wig also makes a great accessory for a John Adams or John Hancock costume.